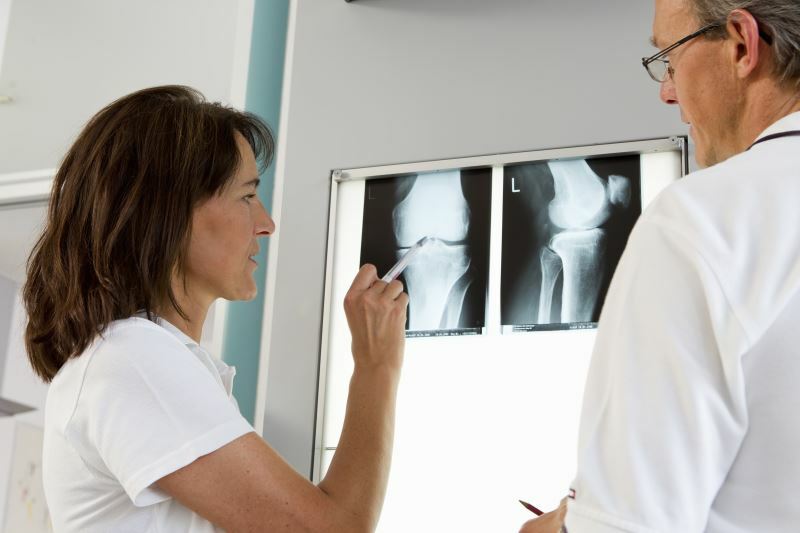 Investigators evaluated pain outcomes in patients undergoing bilateral total knee arthroplasty performed by the same surgeon over a 2-year period. The use of staged bilateral continuous femoral nerve blockade (CFNB) and single-injection sciatic nerve blockade (SISNB) with single-injection subarachnoid block may effectively control pain following bilateral total knee arthroplasty (BTKA) without negatively affecting ambulatory status, according to findings from a retrospective case series published in Pain Medicine. Investigators evaluated pain outcomes in patients undergoing BTKA performed by the same surgeon over a 2-year period (n=25). All patients received CFNB and SISNB with single-injection subarachnoid block for the management of postoperative pain. Researchers systematically reviewed patients’ anesthesia records, pharmacy records, physician and nursing notes, and physical therapy records. During BTKA, only 1 patient required conversion to general anesthesia. No major complications were observed during the procedures. Using the Defense and Veterans Pain Rating Scale to assess pain outcomes, patients reported an average post-operation score of 0.6 on a 0 to 10 scale and an average daily score <3.5 during hospital stay. A total of 10 patients reported opioid use within 3 months of surgical intervention. Although not statistically significant, patients reporting routine opioid use had an average dosage equivalent (DE; 1 DE equivalent to 10 mg of intramuscular morphine) of 6.5 over the duration of hospital stay vs 5.1 in patients without routine opioid use. In addition, patients receiving bilateral CFNB did not experience an impact on ambulatory status during physiotherapy. Since this study is a case series and does not feature a control group for comparison, the findings are limited in that they do not demonstrate the intervention’s superiority or inferiority over other postoperative analgesic strategies. In addition, the investigators did not power the study to demonstrate additional safety outcomes associated with the management regimen.